This is a photo of Panama’s enforcer. The US National Team Soccer defenders look nothing like this. I don’t know about you but I’m not intimidated by any of the US players, maybe Cameron a little bit. 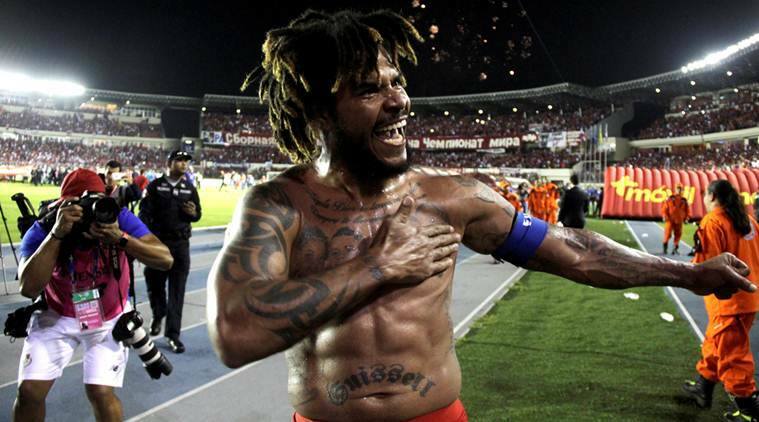 The player pictured is the player who scored the goal for Panama that knocked the USA out of the 2018 World Cup. This dude is buff. He’s got muscles on his muscles. Who on the USA compares in terms of athleticism and strength? USA needs to change it’s style to fit it’s players. Develop more skill/speed players like Pulisic and a system that works for them and quit pretending to be the “big boys” on the field who can get by without skill and speed.